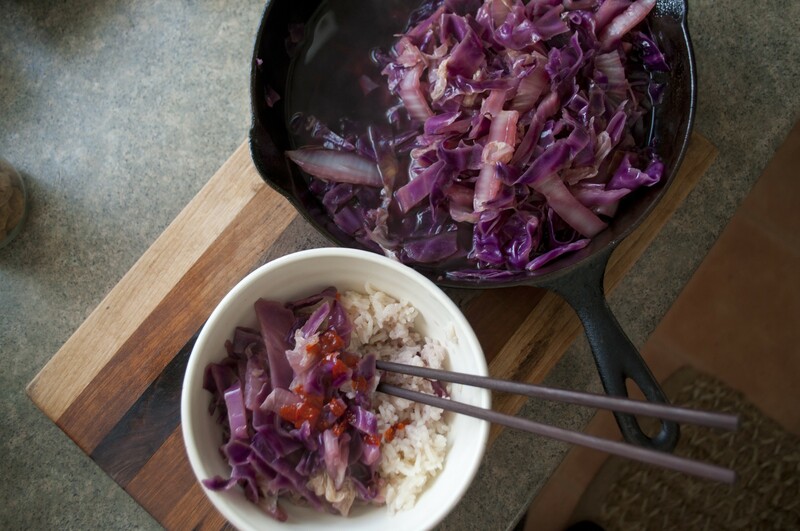 Blending Napa with red cabbage makes for a lighter dish than using red cabbage alone. 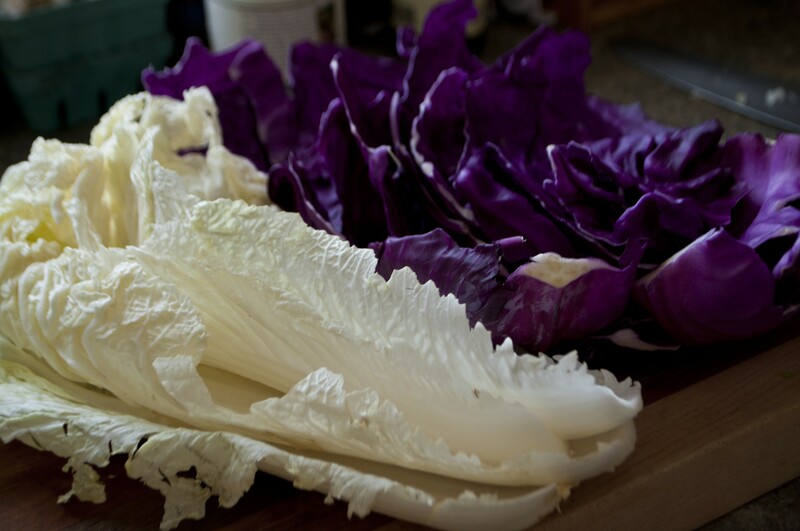 Winter in my house is cabbage season — it's a rare form of roughage that keeps well for long periods of time, and this time of year, any means of keeping the scurvy at bay is a win in my book. I've been grabbing Napas and big round red ones from Hinesburg's Full Moon Farm for the last couple months — and they just last and last. One easy, catch-all way to handle a cabbage is to braise it. Doing so cooks away the leaves' bitterness without sacrificing their nutty character, and braising in cider adds a nice combination of sweet and tart. Also, I wrote about ice cider in my feature this week, so I have a lot of extra cider kicking around. Whether you use ice cider (mixed with water) or fresh apple cider, the resulting dish is tasty warm or cold, and versatile. Sealed with its liquid, this cabbage can be stored for a couple weeks in the fridge for a quick snack, side dish, or taco filling. Heat a 10-12-inch skillet over high. Add the coconut oil and the red cabbage. Sauté briefly while you mix the liquid ingredients. Combine the liquid ingredients and add to the cabbage skillet. Bring to a boil, reduce heat to medium, cover and cook for about five minutes until the red cabbage begins to soften in color. Add the Napa cabbage and cook, stirring occasionally, for about 20 minutes, until the cabbage is soft but still a bit chewy. Serve immediately, with coconut rice, or as a side dish, taco filling or whatever else you like! Keeps well in the fridge for up to 10 days and works nicely warm or cool. Make This Now: Bacon. Buttermilk. Gravy. Poutine.